Last Summer I picked up a Cortland Fairplay 8′ 5/6 fly rod at Walmart. You can’t order these things online through Walmart but you can find them at some of the larger stores if you’re lucky. I was pleasantly surprised with the rod’s performance. Of Course, the components on a 30 dollar fly rod are pretty cheesy, what with the plastic reel seat and the foam grip but other than that it has a pretty sweet action and is light weight and fun to cast. The Rio Skagit MOW tips can be found on Amazon or Ebay or elsewhere and make dandy little Skagit lines, ie shooting heads for turning over sink tips on shorter fly rods anywhere from 6′ to 8′ long in the 3 to 6 weight range depending on a variety of factors such as how heavy or light you like to line your rod and what sink tips you fish. I haven’t done exhaustive research but good ideas for sink tips would be Rio Versileaders or 7′ to 10′ Airflo Polyleaders or Loop Poly tips. Possibly go longer if that works for you. Another possibility is custom 7′ to 12′ custom chopped sink tip material from t3 up to t8. I prefer lighter sink tips and smaller flies on my little fly rods but you can go heavier for mini dredging on smaller water if you like. Which I have. You can do most of the standard Skagit and Scandi casts provided you keep your hands low and use your wrists like swivels to implement a super compact casting stroke. Its a super fun way to experience a tight line grab swinging for hatchery Trout and Smallmouth. 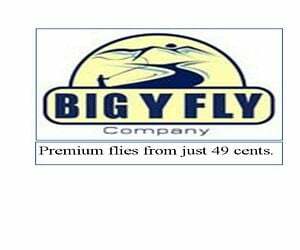 You can also use the lighter MOW tips for ultralight Skagit lines on tiny 2/3 weight fly rods. Are the MOW tips tapered at all? Yes the floating MOW tips do have some taper to them. They actually fit the floating 10′ OPST Micro tip better than the Commando heads do. Thanks for logging in and commenting Robbie. So I eventually tried a X-heavy (180 grain) floating 10ft tip as a micro skagit head on a glass fibre 7’6 4wt. Rigged with the longer tapered part at the front (to a 5′ poly leader intermediate or floating) on my local canal – it really flies just roll casting and is almost over-gunned for such a small water – I’m thinking might even see what a 6′ rod and smaller head would do. Sounds good Robbie. I use a 10′ head on my little 6′ tiger eye and it works great. I’m looking forward to hearing what you end up using on your 6 footer. The possibilities are endless. I have some 7 or 8′ sections of t3 and t7 to try with my 10′ mini Skagit heads. Should be just the ticket. I’m looking forward to cracking my little Tiger Eye out again and making another video! Thanks for your input, Let me know how it goes! I love this idea! The guys at OPST recommend their 150-grain 10′ head for 3wt rods under 9′, and a quick check on the scale at my local fly shop puts the 10′ Heavy Floating MOW Tip at 146 grains, so this sounds about perfect for the 7’6″ 3wt I use. Yes Ben, That sounds perfect! Let me know how that turns out for you. Should be a hoot landing even a small Trout or Smallmouth with that outfit!